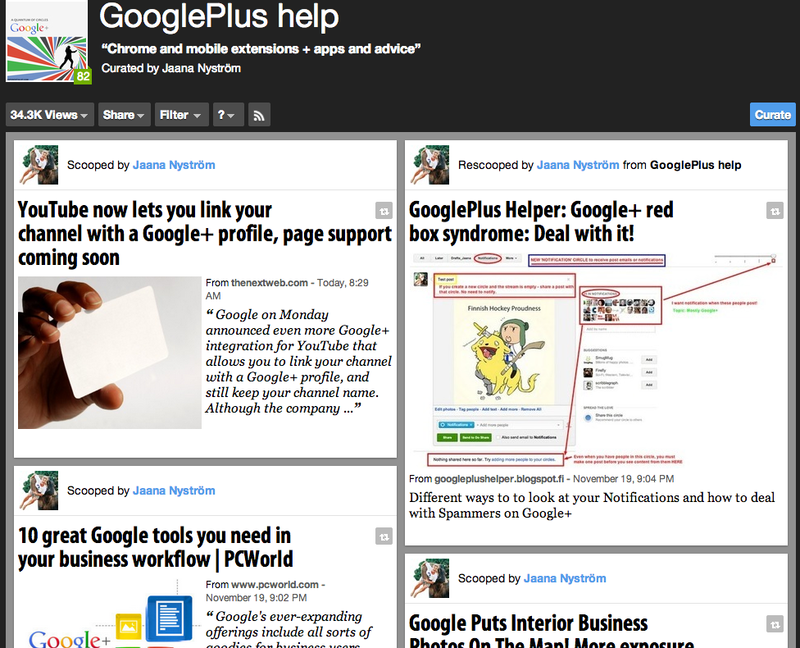 GooglePlus Helper: What is Google+ all about, for you? What is Google+ all about, for you? Based on a few discussions I've had with my circlers both on my private profile and my Pages I felt the need to write about the choices we all have on Google+. Let's assume you are 'a publisher', i.e. you post most of your stuff publicly on Google+. It is quite normal that you are perhaps interested in various things, not just in one narrow sector. In accordance, you 'broadcast' about your interests. Then what should you do if one or two complain about your once a week (Friday night) funnie or a sudden, very technical share? Stop posting funnies or whatever altogether as someone doesn't approve? Hmmm. Google Plus is great in the way that you don't make 'friends' here, you follow people whose content is interesting. If that person's tastes / interests change and you complain, should he/she change his post subjects back to your liking or isn't it easier for you (the audience) just UCM or Un-circle-me, instead of complaining? No, not me, but the 'publisher' in this case. I find the whining about posts very disrespectful. Now there's no need to block people or even uncircle them if for a while they post a lot about elections or the new Nexus 7, you can just move them to a muted circle. 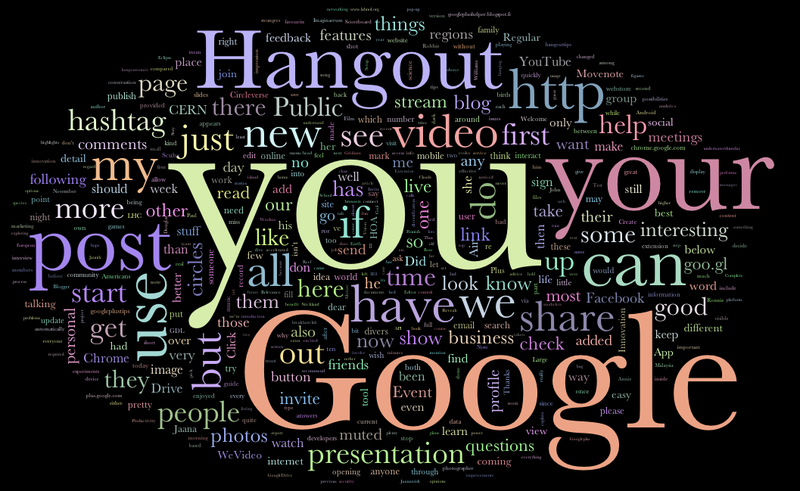 Choosing people for circling: Take a look at this word cloud and you can immediately see what people post about. To get your own or anyone's, just change the Google+ ID (from your profile page URL) in the end of this URL. This whole platform is evolving all the time. I've been here since the beginning, seen all the GIF's that seem to annoy some people. Especially when reshared over and over again. But imagine if everyone had shied off sharing what they thought was hilarious or important or actually added to our knowledge of G+? We would be much poorer at the moment, information wise. This is the first social media platform where, to my mind, it's all about content that you as 'the publisher' want to share. A sort of sellers market. May you not just ignore people who don't like what you post about? People making 'noise' or posting a lot? To others those are the treasure troves. Tastes and preferences differ. I still share some of my scuba diving stuff publicly as there are not so many people in my circle of 'Scuba people'. I'm wishing to attract more. It's like fishing for like-minded folks? Only for some, I'm making unnecessary noise. Circle management is important: Anyone can control the amount of the noise in their Circles; dropping, muting and adding people. Deciding what they'll see in their stream is up to them and no-one else. Learn to control your streams: Mute it or let the bells ring! Click on the gear icon in each individual circle and Community to control the volume of the posts. If you uncheck the "Show posts in Home stream, that mutes the circle. You must visit the circle to see the posts. After a long and very eventful Google+ news day I posted a link to my webmag where I collect loads of information about Google, extensions, tools, social media and Google+. This linking to an outside source was strongly disliked by some. "This is why I'm not sharing all the links with you but instead the link to my webmag where you can see all the interesting headlines and click to read more about the topics..."
"...you try to convince me to register/check manually a website for getting news about Google+, instead of having them on Google+? I'm the only one perplexed by this idea?" - There is no registration needed to read the articles on ScoopIt. This is a tool for me to save and share good stuff all around the Social Media, usually not to Google+ because here I just post or link naturally. This is my main platform for interacting. From ScoopIt I can share a link or a Google+ post to Twitter, LinkedIn, Facebook profile, Facebook Pages, Pinterest, Tumblr, LinkedIn groups, Wordpress or StumbleUpon etc. I can schedule the posts with the help of BufferApp. 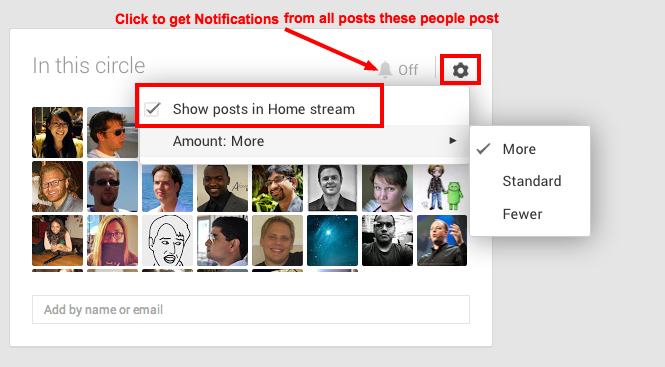 This way I can spread the Google+ sweetness around the Interwebz. It so happens that my time is limited too, but still I want to share my best "finds" with my Circleverse: Today has been a very active day so I really did not want to inundate everyone but still wanted to give the Page followers a chance to see what's up now, not after two days. I know all about formatting posts with many links, been there and done that - sometimes you just don't have the time or energy for it, especially when everything's ready here, in this link. The page will still give you as many good tips and advice as you have received so far, I just wanted to give you some more sustenance from a different source. I curate a lot of different things on the ScoopIt site, not just Google+ stuff. People may be interested in these though they might not fit in the Page's agenda of Google+ advice. Are you saying that you never click on any links that would take you away from Google+? My blog, for instance? As you can see I was a bit huffed with the negative feedback, but that's just human. I have a strong vision of how to 'manage' my content and in this case I'll continue being selfish. As there is no must on Google+, one doesn't have to click on anything one does not want... Typing the letter J jumps over a post on Google+ stream, so why not use it. Leaving an unnecessary negative comment does nothing but perhaps lessen the enthusiasm and the will to help. I was once criticized by a person (who doesn't know me) for being arrogant or not listening to my followers because I post about this and that. Maybe he wasn't listening to me? The bottom line is: I'm not selling anything on my own profile, my daily bread is not necessarily dependent on my posting on this or other medias, so why should I really care what my followers expect from me? :-) I should be free to post anything I like, be it Placido Domingo Viennese Operettas videos, helpful Google+ beginner tips or an occasional cat GIF. Think about it like this; if you're not Britney Spears or a similar celebrity, then you're just you. - Use your profile and your business Pages just as you wish, depending on your goal. Don't feel obligated to do stuff. - Don't try to please anyone but be your true self, this dedication will shine through your posts and gain you respect from those who are interested in you / your topics. Google+ to me, is THE tool. And the world's largest intelligent discussion forum. I've made many great new contacts by just being me, found people I want to follow and interact with. But the thing is, I don't owe anything to the people who circle me or my Pages, or do I? So, what are your thoughts on this? Should we be selfish when our content is concerned or give in? Don't we all have a choice? I believe that relationships are built on trust, and that the direction of relationships, determine how and what content is posted and shared. Because Google+ is very much "open-ended", the purposes for using it can and do vary between person-to-person. Obviously, there are general practices and policies in place that may help protect "unlawful" or "unethical" usage. I have noticed that depending on the user's experience with social networks, and Google+ specifically, this determines the content and motivations of their interaction. Whether or not they are selfish, or generous, is a matter that is determined by their own interests and values. I wasn't exactly referring to relationships as such, like between friends. For me Google+ is a place to share knowledge, discuss many different topics, learn from the other Plussers and interact with people from all walks of life. Some become online friends, but rarely is there a question of trust between us. I don't tell my secrets online, nor do I expect it from others. If you mean trust as between a client and a business, being yourself and honest should be enough? Generosity here means sharing posts from others, encouraging and helping people. Selfishness came from making your own decisions about the topics you want to broadcast: If posting about the things I find interesting (but someone who follows me doesn't like one of them) is selfish, then - yes I am selfish. The whole point of the post was that we should not let our followers dictate what / how we can or cannot share, the choice is ours. Very good read Jaana. This blog-post I really liked. 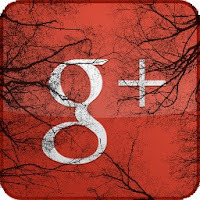 Google+ for me; is like taking the best features out of sites like Facebook, Twitter, YouTube and merge them on a forum-like platform.